Hamilton, Ohio, is bisected by the Great Miami River and its levees, effectively creating two towns on either side of the river. Many important civic and cultural assets are clustered close together but they have never been effectively linked. W Architecture led a planning process to make the river the center of the community, a new shared place for activities and engagement. The plan focuses on river accessibility, cultural and recreational amenities, business attraction, urban living, and city revitalization. 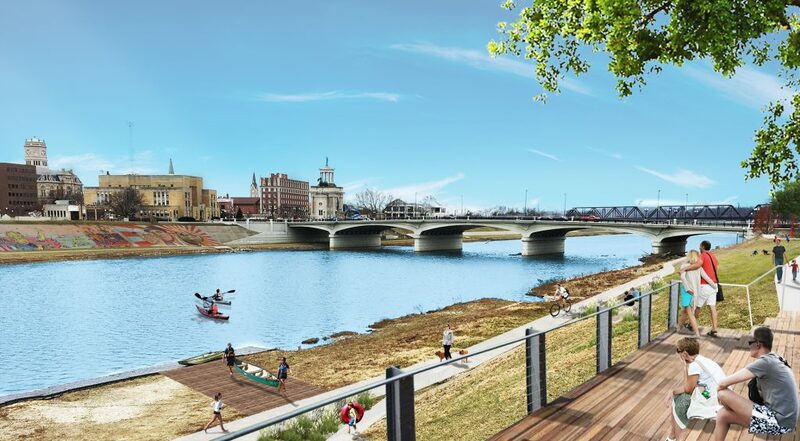 Establishing a high level of activity which engages the river will increase pedestrian and bicycle circulation and vibrancy and placemaking along the corridors will stimulate community economic development. 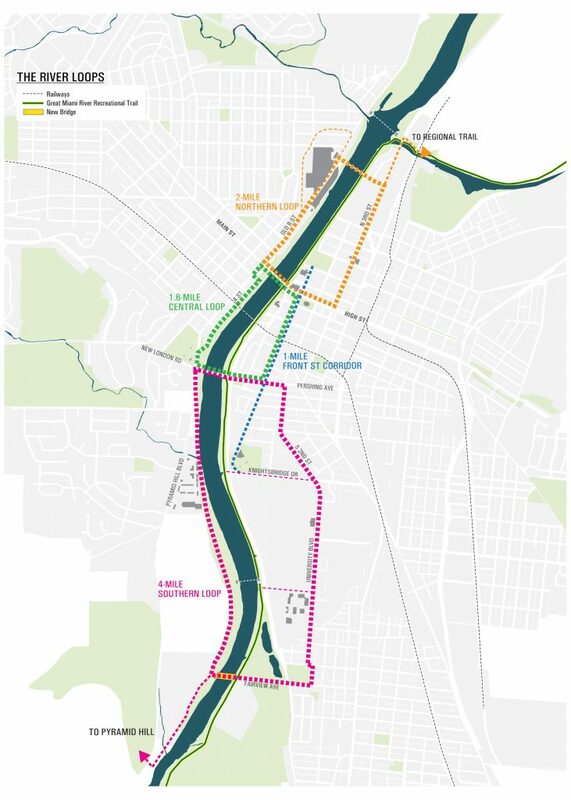 This plan for the approximately 4 mile stretch of river is broken down into a series of walking and biking loops. The loops are of different characters and each explores a different ecology, combining social, cultural and natural phenomena. The loops are tied to the river through a series of gateways connecting the town to the river, and again each has its own character tuned to the particular place and neighborhood. This way, quality open spaces and recreation opportunities are connected equitably along the river, improving environmental quality, benefiting public health, and creating community pride and identity. 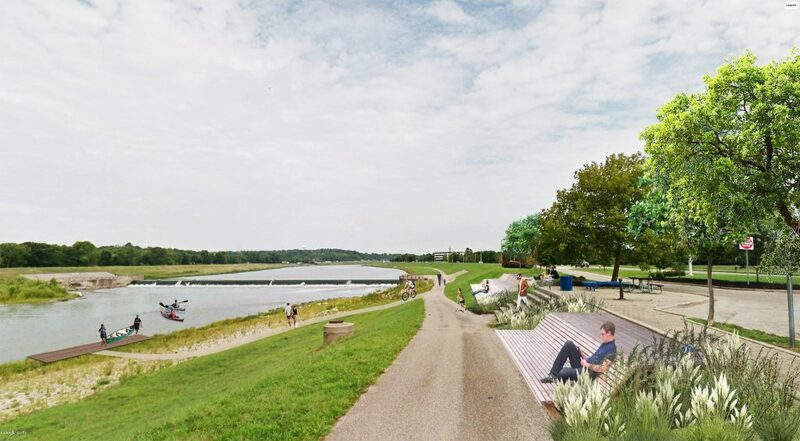 The study also addresses the waterway itself, with new river uses like a kayak run and boat rentals, as well as suggestions for pop-up festivals and other events within the levee area during summer months. Opportunities for changes in land use and zoning are also outlined and a phased implementation plan is provided. 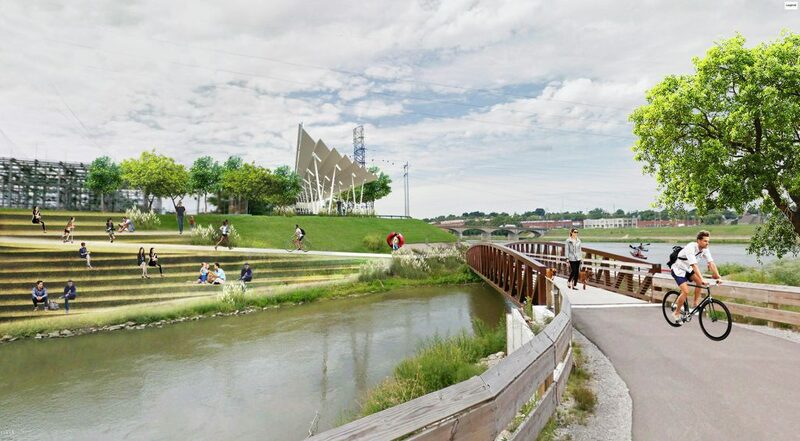 To implement the plan, partnerships with the Hamilton Parks Conservancy, the Hamilton Community Foundation, the Great Miami River Way Coalition, and the Miami Conservancy District as well as private sponsors are involved.